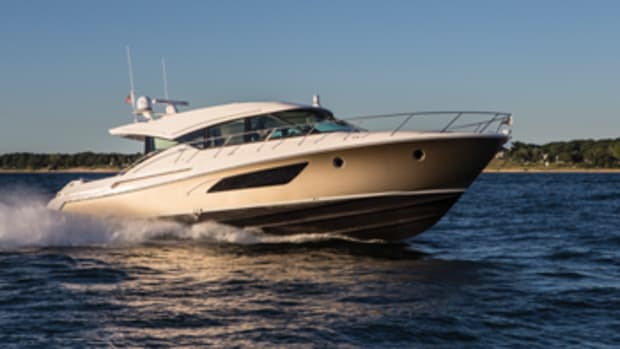 Some boats have a timeless look, and Tiara&apos;s new 3100 Coronet stands out as one of them. 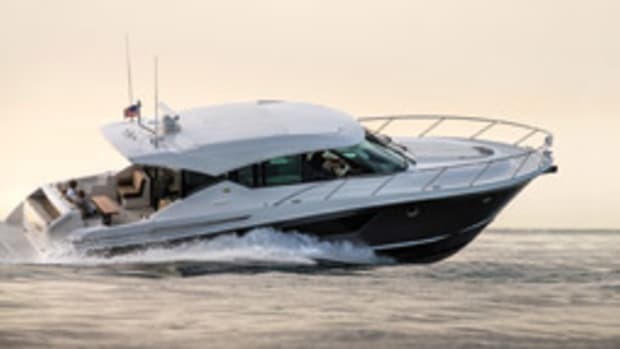 With its low profile, diamond non-skid and wide deck walkways, Tiara has recaptured some of the characteristics of its earlier boats, says CEO David Slikkers. 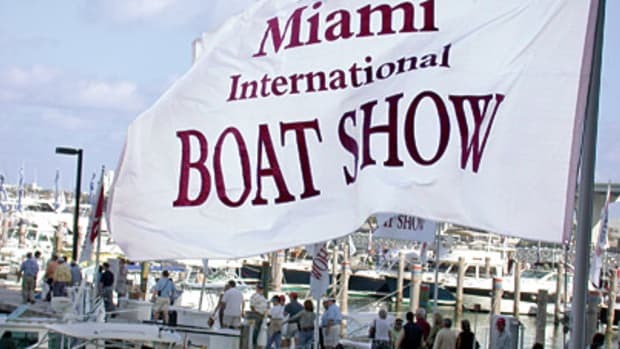 I had a chance to check out the Coronet at the Miami International Boat Show earlier this year, and she&apos;s all about day boating, with ample cockpit seating and a standard starboard-side entertainment center that includes an electric grill, sink and drawer refrigerator. Port and starboard L-shaped stern seats face two aft-facing seats in the cockpit - an ideal arrangement for socializing. There&apos;s a standard teak table for the companion lounge on the bridge deck, and an optional teak table is available for the cockpit. 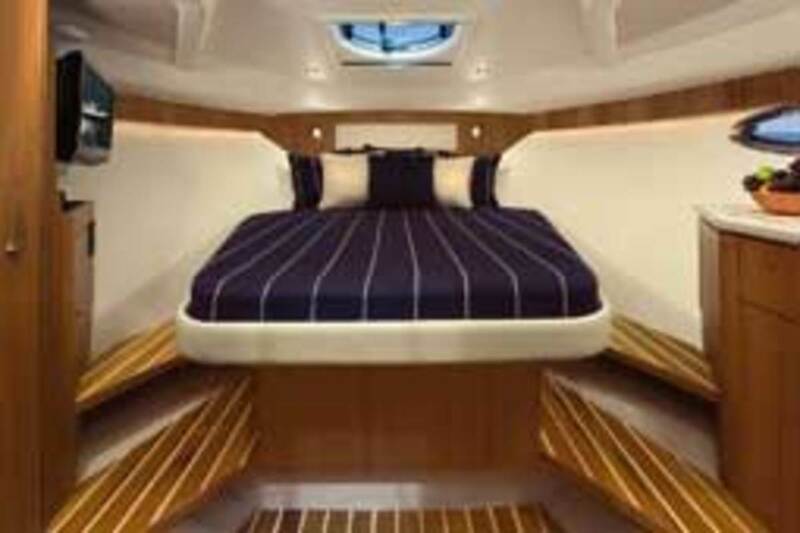 The cabin includes a galley to starboard, a head and shower to port, a cedar-lined hanging locker and a forward berth. 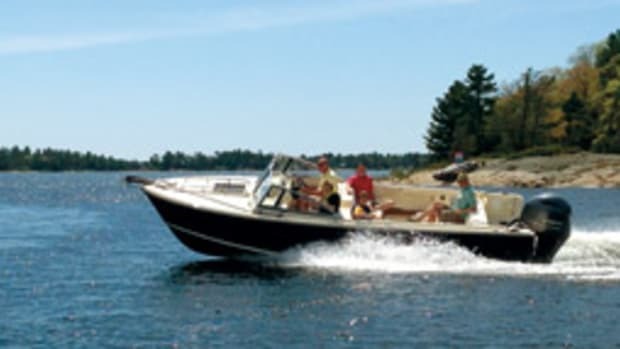 The boat measures 36 feet, 5 inches overall, including the 40-inch swim platform with built-in ladder and the bow pulpit. The beam is 12 feet, 6 inches. Tiara covers the walking surfaces, including the side decks, with grippy diamond-pattern non-skid. The builder&apos;s helms are always impressive. 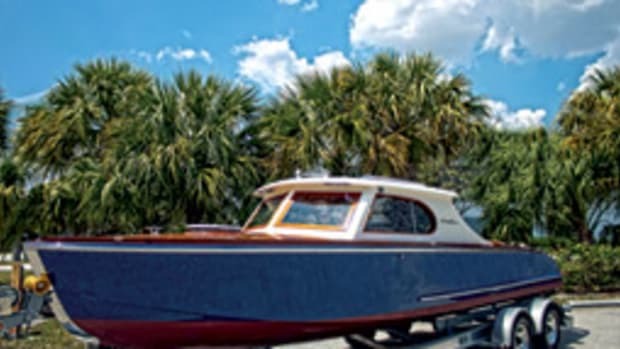 The optional 16-inch teak steering wheel gives the boat a yacht feel (stainless is standard), and there&apos;s ample room for electronics at the helm console, which hinges aft for access to the wiring and connections. Sightlines are excellent behind the overbuilt windshield, and the dark dash reduces glare. It may seem like a minor feature, but it&apos;s an example of Tiara&apos;s attention to detail. 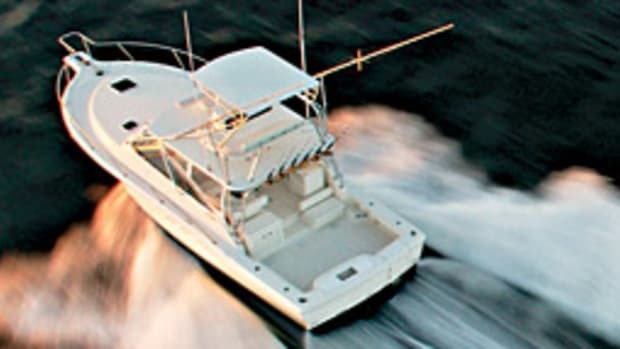 Powered with twin Crusader 375-hp gas inboards, she has an estimated cruising speed of 29 mph and a top end of 40 mph. The boat draws 2 feet, 8 inches and carries 210 gallons of fuel in a composite tank. 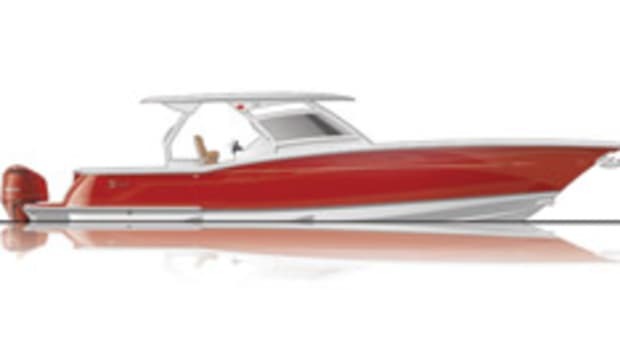 With the Crusaders, the base boat is $261,500. A windlass, trim tabs, bronze seacocks, a solid teak sole and a hot-and-cold cockpit shower are standard. 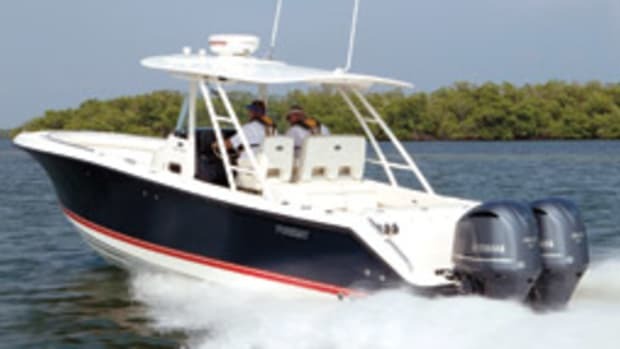 Options include a hardtop with sunroof ($17,500) or canvas top ($3,450); a galley refrigerator ($1,900); a 5-kW gas genset ($15,195); and air conditioning ($4,660). 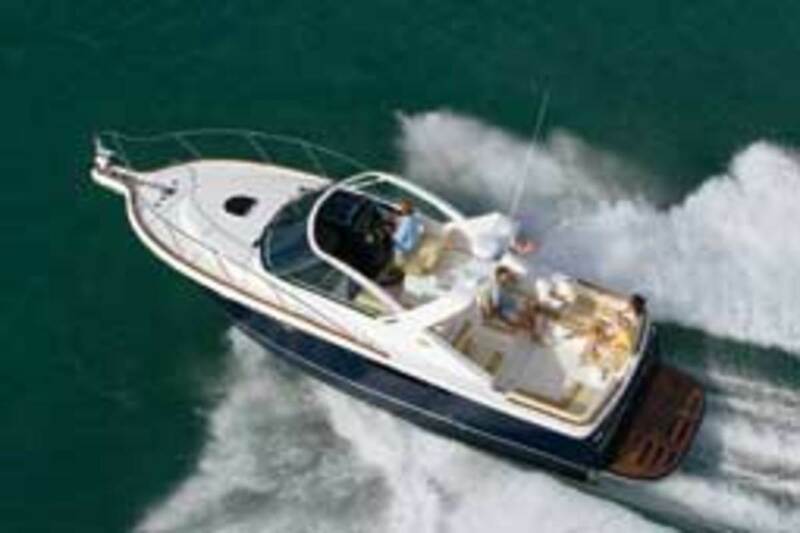 Click here to find more Tiara Yachts.